Arnold Toynbee was born in London in 1852. Educated at private schools at Blackheath and Woolwich, he attended Pembroke College (1873-74) and Balliol College (1875-78). After graduating in 1878 he became a lecturer in political economy at Oxford University. Toynbee investigated the science of economics where he attempted to develop a system that would improve the condition of the working class. Toynbee came to the conclusion that individuals had a duty to devote themselves to the service of humanity. A supporter of the co-operative movement and working class education, Arnold Toynbee died at the age of thirty in 1883. 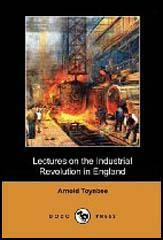 Toynbee's famous book, The Industrial Revolution in England was published after his death. In 1884 Toynbee Hall in Whitechapel, East London, was founded in his memory.